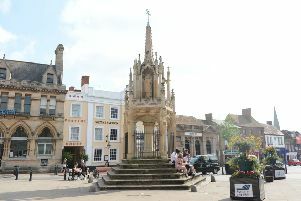 A 14-year-old boy has been found guilty of kicking a woman in the face in Leighton Buzzard, leaving her with a broken cheekbone. The boy, who cannot be named for legal reasons, had pleaded not guilty to the assault on Emily Janes on June 11, 2017, and appeared at Luton Magistrates Court for trial yesterday. Magistrates convicted the boy after hearing evidence from both parties, much of which was hotly contested. The boy’s mother, who also faced a charge of assault occasioning actual bodily harm, was found not guilty – with magistrates referring to “inconsistencies” on both sides. The boy is due to be sentenced on February 19. Mrs Janes was shielded behind a partition and was at times very distressed while giving evidence. Both parties contacted police on the same day of the incident. After being taken to A&E at Luton & Dunstable Hospital by her wife, Mrs Janes was found to have a broken cheekbone. Police visited the following day and photographed Mrs Janes’ injuries. The boy and his mother were arrested at their home in Leighton Buzzard on July 4. According to a police statement, the boy initially refused to open the door to officers and the woman was found hiding in a bedroom having pushed a bed against the door. The duo claimed it was Mrs Janes who was the aggressor. They alleged that the boy had kicked her only to stop her assaulting his mother. In a police interview, the woman stated she “believes [the Janes couple] are jealous of her as she has beautiful kids and ... is going somewhere in life.